Chemistro is one of Luke Cage's better known villains and I may even say is his top villain. He is known for using an alchemy gun that can transmute matter from one form into another (Stone into Water, Water into Steel etc...). There have been three different men to use the Chemistro name and gun all of them have been foes of Luke Cage. The first Chemistro is named Curtis Carr he is a scientist and while working at the company Mainframe creates a special instrument that can alter matter. Wanting to leave to create his own company Carr is stopped by Mainframe executives who claim to own Carr's device as he was working for the company when he invented it. Frusterated by this Carr leaves the company with his device. He makes the device into an Alchemy gun, a special and very complex weapon with matter altering possibilities. Carr has a short lived career as a criminal but thwarts himself when he blasts his leg with his gun turning his right into steel. When the effects of the gun wear off his right foot turns into dust. Upon losing his foot Curtis swears off crime and returns to science. The Alchemy gun and the Chemistro persona however live on and continually pop up to plague Curtiss. Curtis is later hired by Stark Enterprises and works in a research facility. There he builds an advanced prosethesis for his missing foot. 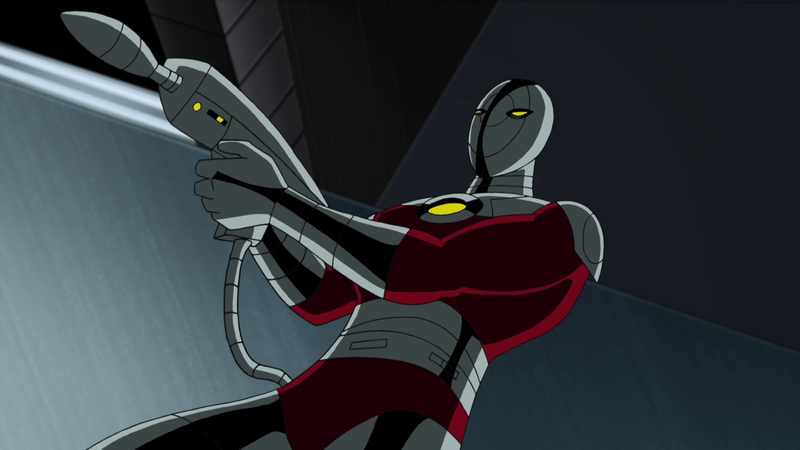 The facility is attacked by Calvin Carr and the Wrecker who were sent to kill Iron Man. Curtis helps War Machine and Iron Man turn the tide on the foes. He saves Iron Man from his brother and manages to defeat him. However, during the battle Calvin Carr (The new Chemistro) blasts the other foot (Left) of Curtis. Curtis then builds a 2nd prosthesis. The 2nd Chemistro is an inmate with Curtis Carr. He forces Curtis Carr to reveal the secrets of the alchemy gun and constructs his own. The gun Morton builds is not quite right however and it explodes. The explosion gives Morton the ability to transmute matter upon touch and he becomes a super villain. He is eventually stopped by Luke Cage with the help of the original Chemistro Curtis Carr. Calvin Carr is the younger brother of the original Chemistro Curtis. He steals the alchemy gun and takes over the Chemistro persona. He becomes a career criminal bent on defeating Luke Cage. The original Chemistro Curtis Carr helps Luke Cage and Iron Man defeat his brother Calvin. Chemistro was involved in the incident called Flash Mob. In this story a group of Luke Cage's former foes unite to attack Cage and Iron Fist. 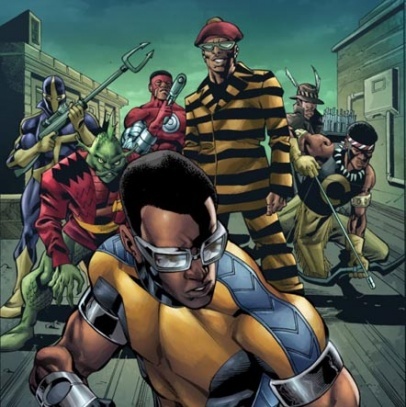 The Flash Mob group was similar to Spiderman's Sinister 6. In addition to Chemistro it included, Cheshire, Commanche, Dontrell "Cockroach" Hamilton, Mr Fish, and Spear. Chemistro could be a villain in the Marvel Netflix series the Defenders. As of now there is no news on casting. Chemistro was not included as a villain in Luke Cage season 1 on Netflix. Part of this reason may be that Luke Cage was very grounded and used a very realistic villain Cornell Cottonmouth. The series did not have time to focus on very many villains. The powered villains may have also clashed some with the series themes. Toylab is a member of the Amazon Affiliate Program and so we can bring these great offers on Luke Cage Merchandise. Top 10 villains of Luke Cage! Who is Luke Cage aka Power Man?